I set my solar equipment up at Mount Wilson the day before the Transit of Venus and ran a test to make sure that everything had survived the trip and was working well. I forgot about the short test video I took until today. The seeing was superb... definitely the best of the visit and among the best solar conditions I've ever experienced. This image shows full capture size of the new Grasshopper Express 6 megapixel camera with my Astro-Physics Stowaway refractor and Solarmax 90 filter, working at a focal length of .9 meters. 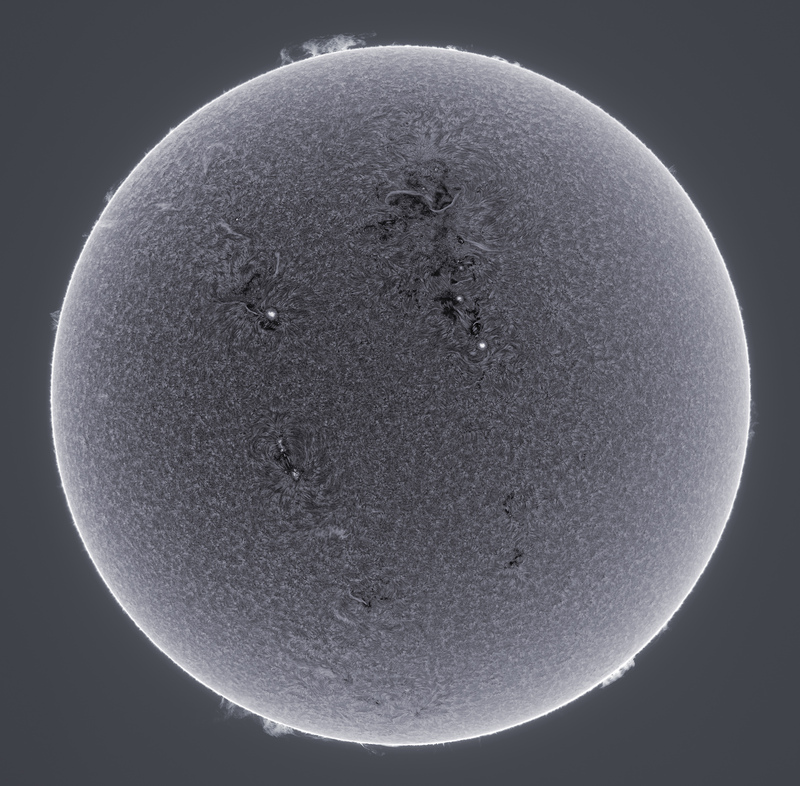 For those that prefer a more traditional look at the solar surface, here is a positive version. This image appeared on blogs at Discover and on Universe Today... thank you Phil and Jason for sharing my work!